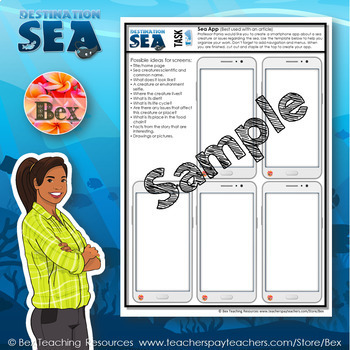 Destination Sea is an engaging and motivating reading project where students travel around learning about different sea creatures and environments. 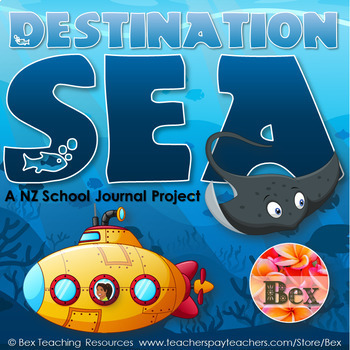 They get to utilise the many New Zealand School Journals that New Zealand schools have access to. 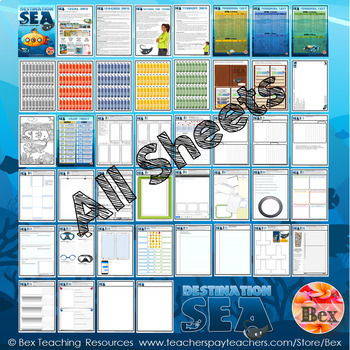 18 activities, 3 curriculum levels (2-4), 55 Journal stories or articles. For every story or article students choose a reading task that will earn them “Oxygen Points.” The better they do the tasks the more points the teacher can give them. At the end of the project students can be given the opportunity to use their oxygen points to pay for a special reward. E.g. Movie day. This is Professor Pania from one of New Zealand's most important and prestigious universities. She is a specialist in marine biology. This year she is wanting to add to the university's collection of marine resources and information. She has contacted your teacher for help. She has heard that your class is amazing at collecting information and displaying it in a way that is easy to understand and looks great. She has pulled a few strings and managed to raise a significant amount of money so that you can build a fully kitted-out scientific submarine. You will use your submarine to travel around New Zealand and the world finding out as much as you can about the marine environment, the creatures that live in it and interesting stories involving the sea. How to run the project. There are a few ways you can run this project. 1) You can use it as an independent project where students work through at their own pace. 2) Whole class, where the teacher sets the task and activity for everyone at the same time. 3) Run it with your existing differentiated or mixed ability groups, where you choose the story and response you want them to do. Great for Daily 5 activities, Literacy circles and literacy centers.